My Papers contains all the papers you have written and published yourself. 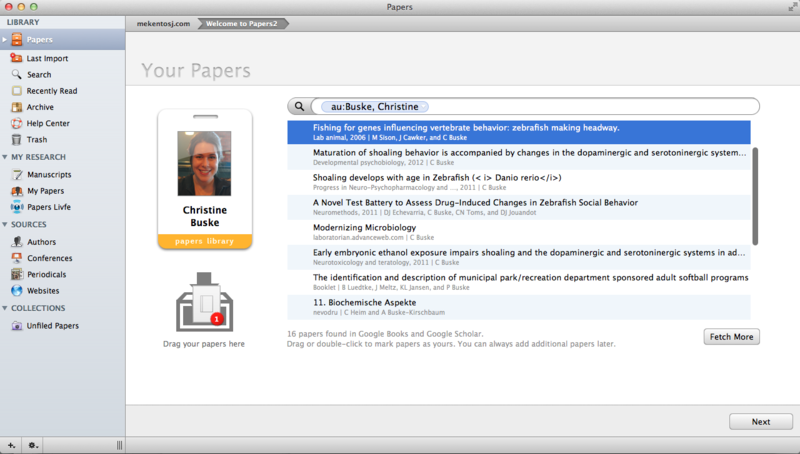 When you first start up Papers you are prompted to search for and add articles to your papers library. You can add your work in a few other different ways as well, and not just research papers available in literature databases. My Papers is a great place for more than just your published work. Consider adding your CV, references list, or bibliography. 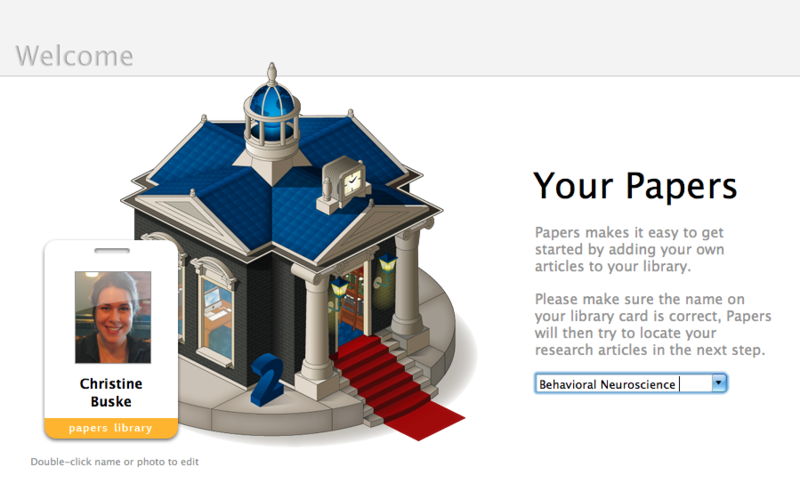 When you first start Papers, the set-up process will prompt you to add your own work to your library. First, you will fill in your library card. Papers will use this information to find articles you have authored and published. You can select multiple articles at a time by holding down the command key when selecting, and drag all of them into the my Papers box at once. 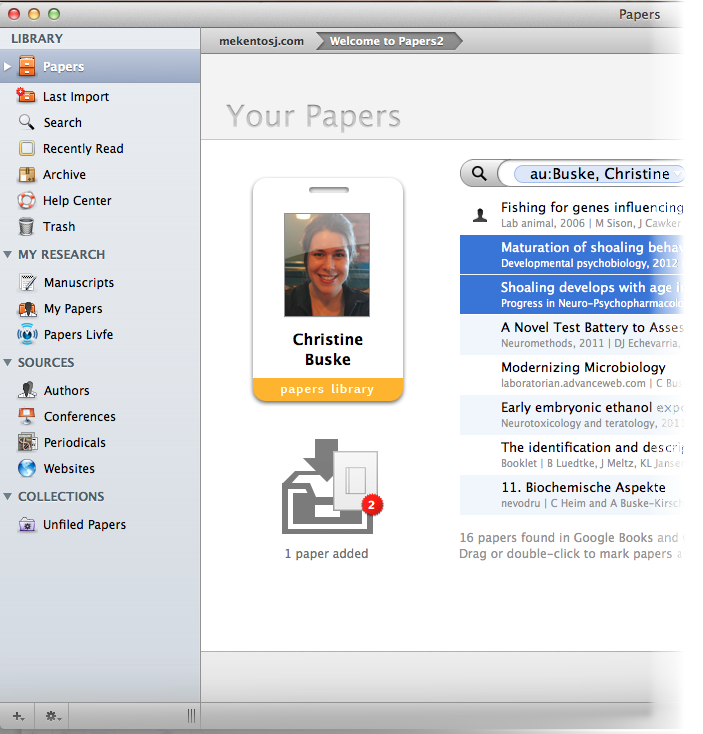 The papers you have authored, and which you drag and drop into the box underneath your library card will automatically be added to "My Papers". 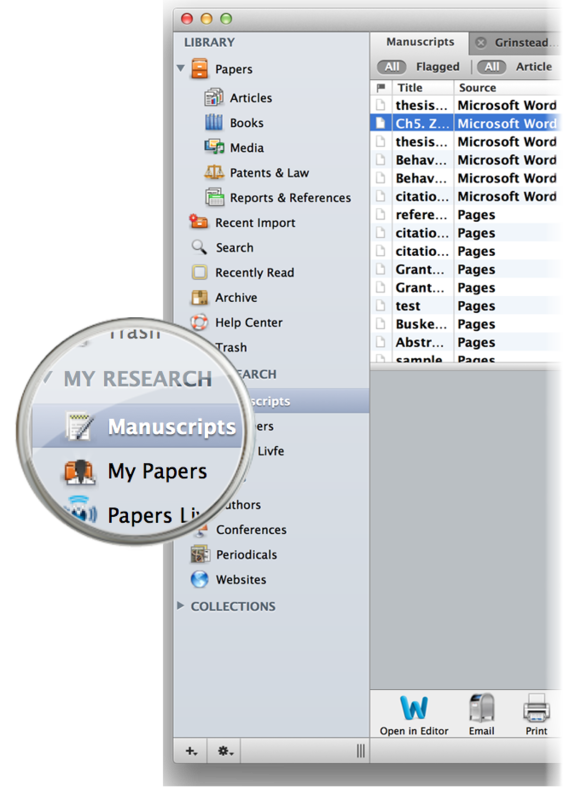 By using citations in Papers, the manuscripts you are working on are automatically added to your Manuscripts under "My Research". When you are no longer working on your manuscript and have published it, you can upgrade it from Manuscripts to My Papers. Select the document you want to upgrade to published. The document is now in your general Papers library. 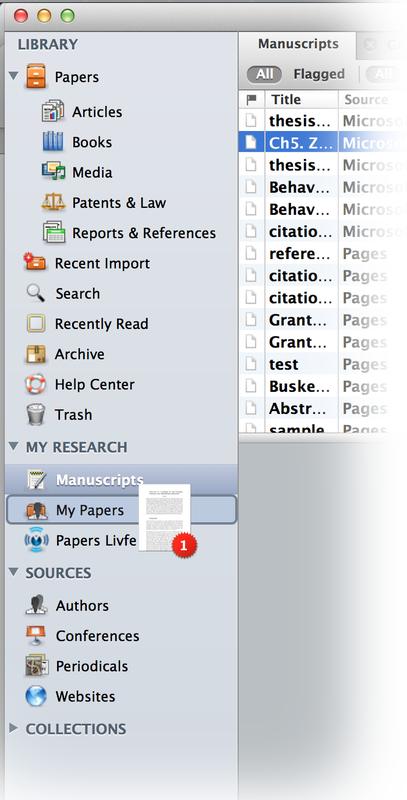 You can add it to My Papers by dragging and dropping it from the library into My Papers. 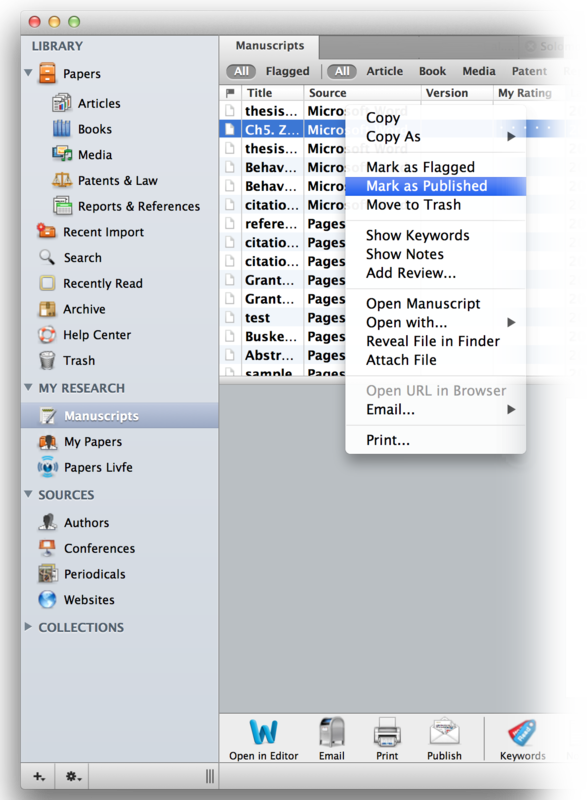 You can do the same with any other article or document already in your library as well.